The Superfeet are premium insoles for your feet. They have many different models, differentiated by their color and are made for different types of activities that the Superfeet wearer may want to partake in. They transform a regular shoe into a shoe that has a perfect fit for the perfect activity. Even popular shoes that are pricey may not be built ergonomically for each individual’s foot. Superfeet attempts to provide a remedy for this. What is the different between Superfeet Premium Insoles and regular insoles? Many insoles were created to make your feet feel comfortable. They are soft and have a lot of cushion. This may feel good but it is not necessarily good for your feet, posture and overall health. 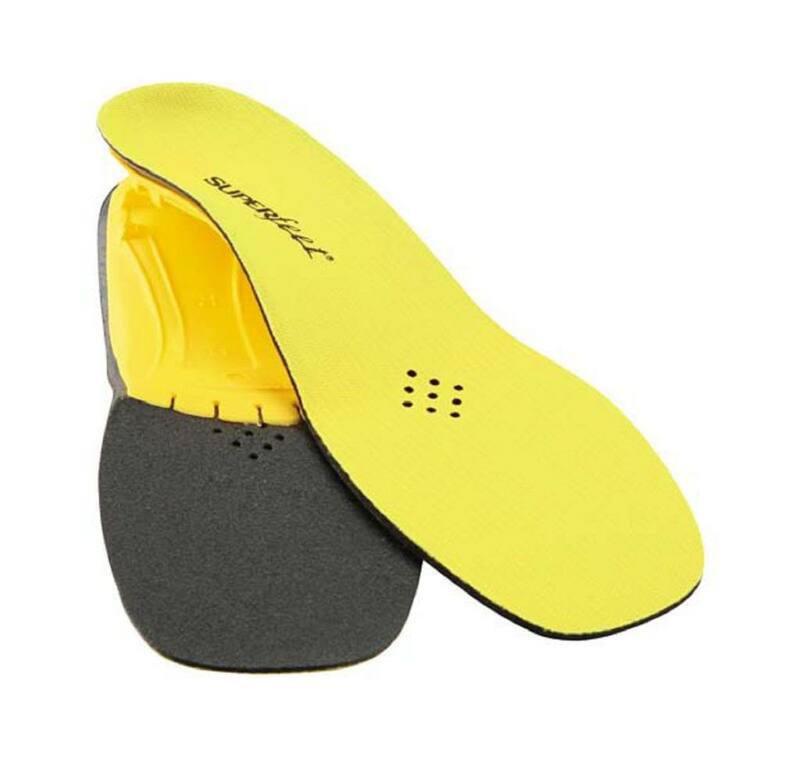 Superfeet Insoles are firm and have a lot of support for sections of your feet that normally don’t get that support. What are people saying about Superfeet Premium Insoles? Many customers feel that Superfeet Insoles have not only helped them walk longer distances with ease, but have helped alleviate their foot, leg, hip and back problems. The large variety of Superfeet also allow pepole to pick and choose the one that fits their needs best. Some people may be very active in sports and outdoor activities like rock climbing while others may just walk a lot. Whatever activities you choose to partake in, Superfeet has a style and fit that can assist you. To read some customer reviews about the Superfeet Premium Insoles provided by Amazon, you can click here. So what type of styles, flavors and fits does Superfeet currently carry? You can click this to see a full listing of all varieties of Superfeet Insoles. Heidye, I have been in the army for 16 years now and have tried any and all inserts for my boots. I have flat feet, bad knees, and a very bad back. I found that the Superfeet Orange are by far the best. They have extra padding versus the other Superfeet models and have tons of support and fit combat boots very well. Tell your son good luck and stay safe.